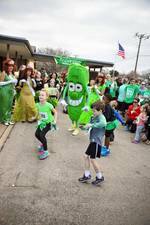 Mansfield's St. Paddy's Pickle Parade: Run, Dance, Eat & More! Right around the corner is the The World's Only St. Paddy's Pickle Parade, and it is sure to be a great time! 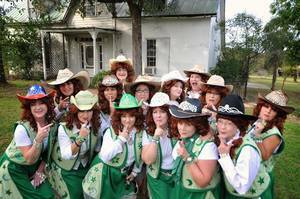 Filled with fun events, like a Pickle Parade, high quality vendors, and live music, crowds from surrounding towns gather to enjoy the festivities. The Pickle Parade has been celebrated for about 5 years now, and it's expected to draw crowds even larger this year. The parade has definitely built up it's own reputation for being a good time for everyone, including families. We got in touch with a local business owner of Aria Grace, Nathan Castles, to learn a little bit more about what to expect this year. Tell us a little bit about the St. Paddy's Pickle Parade. How did it get started? The parade was started by the group now known at the Pickle Mansfield Society, and Amanda Rogers who is editor of the Mansfield News Mirror. My understanding is this is the 6th year. It's our 2nd year as a business owner on Main St. 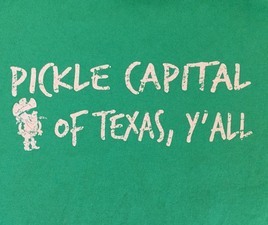 It is the city's way of celebrating St. Paddy's while also recognizing it's place as the Pickle Capital of the World. What can someone expect while attending? Those who attend should expect to have great time enjoying a fun parade, shopping, eating delicious food and taking in a variety of entertainment. Tell us a little bit about yourself. What's your local business like on Main Street? I myself am a local business owner. We not only look to promote the parade as a way to build downtown business, but also to introduce those who haven't found our shop to our great products. We say we are Downtown Mansfield's Hometown Etsy store. Additionally, this year I have also began helping DHM coordinate the new Food Truck Friday event which takes place the night before the parade. I help find local food trucks who have want to come out and let the public take part of their different flavors and treats. What is the main part of the event that most people look forward to? I think it's a personal preference for each individual. Some enjoy vendors and shops, while others look forward to getting to have State Fair-level food. Then there are those who love the parade and seeing the different floats and participants, and lastly those who look forward to hearing great bands performing that give a great show. 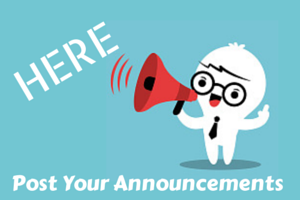 Note: This is a free event but parking in the area is limited and may require a short walk. To learn more about this fun event, you can visit their website.